Autumn Equinox: Time to have us adjust your watering schedules on timers. Since summer has come and gone it is time to check timers and adjust them to fall schedules. The schedules will depend on the weather, plant requirements and city water regulations. Since we didn’t have much of a summer this year and the fall has been hot we need to look closely at the irrigation. 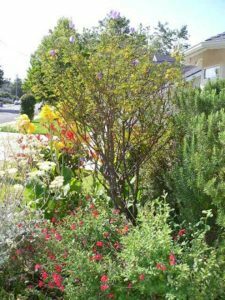 Planting - Fall is the best time to plant perennials (especially Mediterranean and native plants). October is also an excellent time to plant trees and shrubs. Be patient! Visible growth may be slow, but the roots will take hold with the winter rains and the plants will explode in spring. Bulbs- It is still possible to plant bulbs such as anemones, daffodils, Dutch iris and South African bulbs. Forget-me-nots, pansies, lobelias and alyssums can be planted above the bulbs to provide color until the bulbs sprout. *Tip when buying bulbs press on them to make sure they are firm like an onion to ensure maximum flower and leaf production. The discounted bulbs look enticing however the quality has decreased by 50-75%. When planting add recommended amounts of blood meal to the soil to encourage healthy roots and flower production. Plant Cool Season Crops – Plant cool season veggies and flowers. 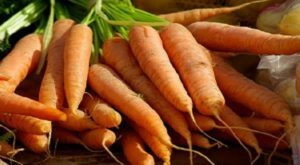 You can plant an array of veggies such as lettuce, cabbage, broccoli, cauliflower, carrots, radishes and other related crops. Cool season veggies grow best at temperatures averaging 15º than those needed by warm season types. For best results use drip irrigation and let the veggies mature in cool weather. In warmer regions plant crops in late summer, early fall for winter harvest. Other crops include: arugula (rocket), onions,(bunching—standard onions harvested before they form bulbs), peas, pak choi ( bok choy), potatoes, kale, kohlrabi, spinach, coriander (cilantro), beets, Brussels sprouts, collards, and celery. Lawn Care - Fertilize cool season lawns, such as tall fescue with a high nitrogen fertilizer. Manage pests - As a result of the temperature drop, whiteflies, aphids, snails and slugs will appear more prevalent. Dislodge aphid and whiteflies with blasts from a hose or spray insecticidal soaps. 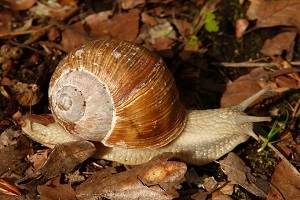 Hand-pick mornings and evenings or bait for snails and slugs. If you are worried about the children and pets getting a hold of the slug bait, we recommend using Sluggo®, a product made of iron phosphate not formaldehyde. This product is safe and effective. Call us @ (805) 544-5296 if you have any questions.